It’s Engagement Season so we’re writing some helpful blog posts for all you recently engaged sweethearts out there! Last time we wrote about the first 5 things you need to do after getting engaged. (If you missed it, check it out here!) #5 on that list was to book these 3 wedding professionals - your venue, your planner/coordinator, and your photographer(s). But what’s the best way to book your photographer? When you start talking to potential photographers you found on Google or referrals from friends, how do you know who is right for you? In today’s post, we’re going to outline the 4 things to consider when booking your wedding photographer(s). Considering these 4 things will help you make an educated decision and find the perfect photographer for you! When you start checking out photographers’ websites and social media accounts, the first thing you want to look at is their portfolio so you can learn their style. There are so many different ways photographers shoot their images, and edit their images, so you need to find a photographer who does what you love. As you're looking at different photographers, notice what type of wedding photos draw you in. Take a look at what pins you’re saving to your Wedding Pinterest board and see if there’s a dominant style there. Because you really, really want to choose a photographer who already shoots and edits in the style you love. Otherwise the whole process is going to be a headache for both of you! -Portraiture can look more traditional or classic, or even swing more into the editorial realm (think high-fashion model type poses). This style focuses on posed portraits, getting you all the traditional portraits you think of when you think of wedding photography. This is a great style for you if you want some model-worthy type images of you and your groom to hang up in your new home. -Lifestyle wedding photography falls more in the realm of photojournalism and documentary. This style focuses on capturing the moments of your wedding as they happen. There will be some direction in posing, but most of the images you’ll see in their portfolio are moments that occurred naturally on a wedding day. If it’s important to you to remember all the little moments of your wedding day, and see the ones you missed, this is your preferred style. -The artistic style focuses on getting epic photos of the couple. Think colored smoke bombs, shooting through a prism, focusing a lot on light and shadows, interesting angles. If you love wedding photography that’s outside-the-box, this is definitely your style. *Side note- a good professional photographer will be able to do all 3 of these styles, and will mostly use a blend of them on your wedding day. A lifestyle photographer isn’t going to not take your family formal portraits, and a portraiture photographer isn’t going to refuse to photograph the best man’s toast unless he can pose him. But each photographer has a favorite style tbh, so find a photographer who showcases the style you prefer most. A quick word about editing style - just like shooting style, each photographer has a preferred editing style as well. Some love kicking up the contrast and editing their wedding images with a dark and moody vibe. Others prefer focusing on the highlights and editing with a light and airy vibe. Still others prefer offering their couples neutral edits that are clean and true to what your eye sees. 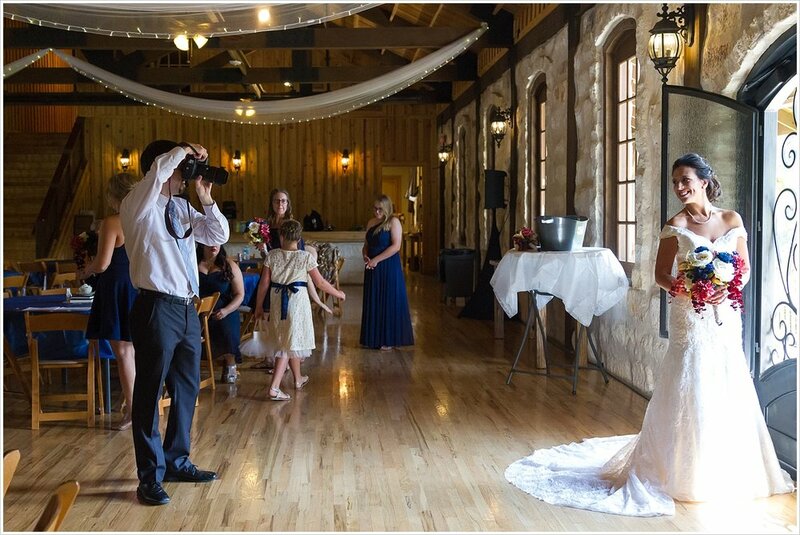 It’s best to figure which editing style you prefer and find a photographer who excels in that style, so you can get the wedding photographs you want. Keeping with our alliteration, the next thing you want to look at when you start narrowing down your preferred photographers list is what is included in their packages. -Look at how many hours of coverage are included. Ask yourself what events of your wedding day are the most important for you to be photographed. Do you want lots of photos of you and your bridesmaids getting ready and probably need full day coverage, or would 6 hours of coverage for your ceremony, family formals, and most of the reception be enough for you? -See how many photographers are offered and know what you prefer, and who exactly will be photographing your wedding day. Is there only 1 photographer all day, 1 photographer with a second one joining in at the ceremony only, 2 photographers the whole day? If having 2 photographers is important to you, make sure that’s included in the packages or at least is an available add-on. Some photographers have associate photographers who photograph weddings under their business name. Make sure to note which photographer you will have for your day and decide if that’s okay. -Decide what products and services you want and see if they are included. Do you need an engagement session? Want an album? Can’t wait to share all the digital images on your Facebook page? Make sure the photographer provides the product you want either in the packages you’re looking at or as additional add-ons. -And finally, figure out how your wedding photos will be delivered to you and if that’s what you prefer. Some photographers provide print quality digital images with a print release (so you can print your photos yourself), delivered to you either through an online gallery or on a USB/disc. Other photographers provide web quality digital images to their couples for social media sharing but only offer print or products ordered through their studio. Make sure and discuss with potential photographers how they will deliver your wedding photos to you so you know what to expect. Speaking of how different photographers structure their business, the third thing you want to consider when picking your wedding photographers is their professionalism. It’s important to say here that we’re not meaning you need to pick the photographer with the most experience. Years of experience do not necessarily equal professionalism. Instead, you want to look at the way the photographer runs their business and make sure they have good business practices that protect you. Almost every other type of photography session can be redone, but your wedding is a once-in-a-lifetime event that can’t be replaced or rescheduled. So it’s SO IMPORTANT you chose a photographer you trust who will take care of you before, during, and after this once-in-a-lifetime event. Do they have a contract that protects you and outlines well the process of working with them? How do they secure and backup the images they take on your wedding day? In case of a life-or-death emergency on their end, do they have professional backup photographers who could replace them on your wedding day? How is their communication with you? Do you feel like you can be honest with them? Do they respond back to your emails in a timely manner? How prepared are they to shoot in the rain, or in a dark building? A lot of planning goes into a wedding day, of course, but sometimes last minute changes happen. You’ll want a photographer who can shoot in any given circumstance on short notice. Checking out a photographer’s portfolio, packages and professionalism are important and common practices when picking your wedding photographer. But something that’s just as important and often gets overlooked is making sure you enjoy your wedding photographer’s personality. You know who is going to be with you the most on your wedding day? Maybe even more than your mama or your groom? Your photographer!! Especially if you book a full day of coverage, your photographer is going to be by your side from when you begin makeup and hair until the moment you and your husband drive off in the limo. So it’s super important that you like your photographer and mesh well with them! If you feel uncomfortable around someone, you don’t want that person following your every move on an already emotional day. You’ll be uncomfortable, they’ll probably be uncomfortable, and that’s not a fun way to remember your wedding day. So as you chat on the phone, skype, email and/or meet in person with photographers, make sure you enjoy them and want them with you on this special day! Those are our top 4 things you MUST consider when you're booking your wedding photographer! Have a conversation with them to make sure they're the person you want beside you on your wedding day! If you do these 4 things, you'll find the photographer of your dreams, they'll find a couple to work with, and everyone will live happily ever after! Did you find this article helpful? Please share the love with anyone else you know who's planning their dream wedding!